If you want to provide the best booking experience for your boaters and are interested in spending even less time managing dockage requests, set up Dockwa’s Auto Confirm feature. Auto Confirm "automatically confirms" dockage requests as they come in, based on the dockage inventory available in your Dockwa Dashboard. Your boaters will immediately know they have secured dockage at your marina and your Dockwa Dashboard will immediately reflect the new dockage reservations. Plus, with Auto Confirm you're still 100% in charge of your docks - you'll never have to worry about Auto Confirm overbooking your marina. You designate a amount of dockage available for Auto Confirm. Dockwa then matches dockage requests with the dock space that you mark available for Auto Confirm. 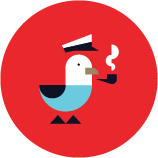 Essentially, Dockwa will only Auto Confirm dockage that you know is available. And if you want to keep some dockage available for manual confirmation, you always have that option as well. So if you're ready to set up Auto Confirm for your marina, follow the guideline below. Start by setting up your marina's Space Groups. A prerequisite for using Auto Confirm at your marina is that you have set up at least one Space Group. Space Groups are categories of available dockage at your marina, defined by things like maximum LOA and whether its a slip or mooring. Even if your dockage is fairly uniform, you’ll want to set up one Space Group that represents your marina’s inventory, as these groups will enable Auto Confirm to tell whether there is space at your marina for a particular vessel. 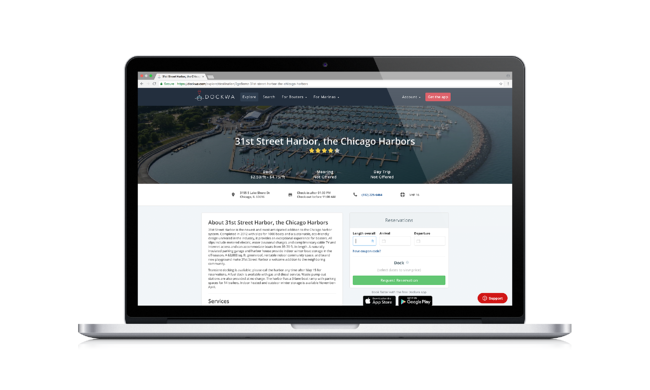 Using that knowledge of available space, Dockwa can instantly confirm a reservation for you or prevent boaters from requesting dockage in the first place. (Spaces, however, are not a prerequisite for Auto Confirm). Click here to learn how to set up Space Groups. Now, decide how much dockage should be instantly bookable. 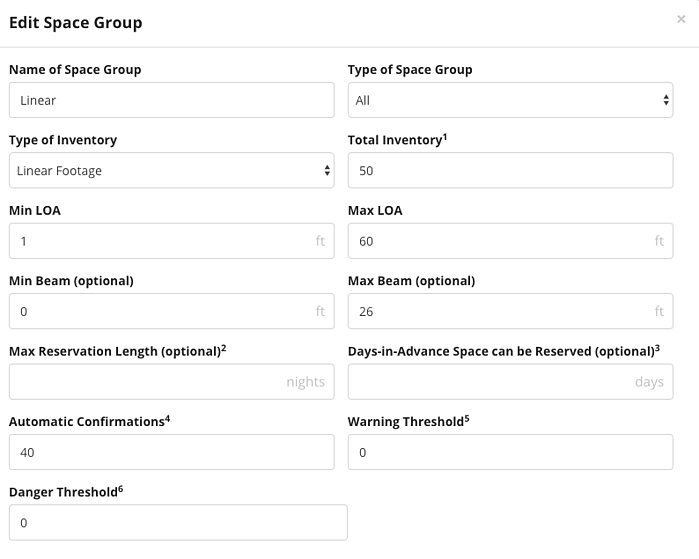 Once you have at least one Space Group set up, click the “Edit” button on the Space Group. In this popup, you will see a field titled “Automatic Confirmations.” Enter here the units of dockage you wish to automatically confirm for any given day. This number should be equal to or less than the number you entered into the Total Inventory field. If you have a field of 50 moorings and you wish to allow 40 of your moorings to be automatically confirmed each day, write “50” in the “Total Inventory” field, and “40” in the “Automatic Confirmations” field. Once 40 dockage requests are automatically confirmed for say, July 3rd of this year, you will need to manually confirm any additional dockage requested for July 3rd. Auto Confirm is a great tool for any marina’s staff, and is particularly helpful for those that are busy, and need every extra minute they can get. Boaters will receive immediate peace of mind, knowing that they’ve secured a spot at your marina and you will spend less time managing dockage reservations. "The best part about Dockwa is it makes booking a reservation fast and convenient not only for us but also for our customers." 3 out of 4 marinas wish they had a better process for issuing dockage contracts, but we created our Contracts tool with all 4 in mind. Learn how to issue contracts in minutes in our next lesson.